There's no doubt at this point in time that tablets have gone mainstream, virtually everybody who wants a tablet can afford to buy one without tackling their 401K's. It's with this in mind that a slew of new manufacturers have gone out of their way to make a dent in the market; one of them being Onda. Onda is not a huge company and it certainly doesn't have the reputation of brands like Teclast and Chuwi. 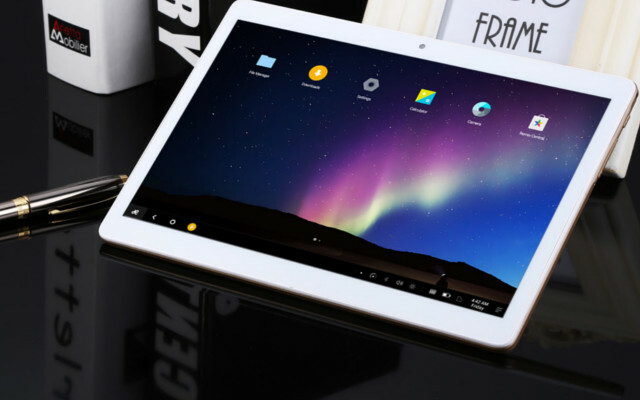 However, the brand has taken it upon themselves to compete with models such as the recently released Onda V96 Remix OS 2.0. Today we're gonna go beyond the superficial reviews and really tackle into the pros and cons of the Onda V96 Remix OS 2.0 to see if it's worth your hard earned money or if you should save your money for other models in the current market. Without further ado, let's get on with it. While the Onda V96 Remix has its own interface, such an interface works on top of Android 4.4. This is particularly surprising in a time when most tablets come out, at the very least, with Android 5.1. That said, it's hardly the first time we see something like this. Amazon's popular Fire tablets, for example, run on an older Android version as well but it's the customization done by the company what really sets these tablets apart. I must admit I was quite shocked to see the Onda V96 featuring an HD display and not a Full HD display like many other models in this price point. To be specific, the new Onda tablet carries itself out with a 9.6 inch IPS display with a 1280 by 800 pixel resolution. The bigger screen size certainly works in its favour but we can't help and compare it a bit to the Chuwi HI8 Pro which for 89 dollars - on a limited time offer- features a better than Full HD display (1920 by 1200) as well as a slew of other improvements. Overall, the display while good enough for most consumers seems outdated when you simply look at the specifics. This is actually quite common amongst tablets, especially the bigger sized ones which rarely feature a decent set of cameras. This case is no exception and we can chalk it up as a con of the V96 Remix OS 2.0 that, while the main camera sports a 2 megapixel sensor, the front end camera goes with a modest 0.3 megapixel sensor. Again, this is a mainstream issue so we're not saying it's a disadvantage that's exclusive to this model, but considering the fact that the previously mentioned Chuwi Hi8 Pro comes with 32 GB of base storage, we were a bit surprised to find out that Onda's new proposal didn't really get to that point. That said, this is a minor issue for most people since you'll be able to upgrade via its microSD card slot to a maximum of 128 GB of additional space. Once we've moved past the cons it's time to take a look at the pros, not least of which is the design of the tablet which sets itself apart not only thanks to its sleek form factor (weighs just above 1 pound and measures 0.34 inches thick) but also thanks to its 16:10 aspect ratio. This is better especially for the avid reader since it's a more realistic portrayal of what a book looks like and therefore provides with a more pleasant reading experience. That said, you really gotta love the minimalistic design that Onda managed to pull off here, a feat not many manufacturers can claim. Obviously, we wouldn't even be talking about this tablet had it not been for its set of internals. Sure, storage runs a little thin but we do appreciate the Allwinner A83T chipset in place. This is a 28nm CPU that works by using 8 cores reaching a maximum speed of 2.0 GHz. While octa core smartphones are pretty standard, octa core tablets at this price point are still few and far between, at to that the fact that the tablet is running a customized version of Android 4.4 and you know you've got a heavy hitter that won't leave you hanging any time soon. In terms of RAM, we've got 1GB of RAM, again we should point out that this is standard amongst this price point in this tablet size so we're not gonna criticize this since it can work wonders on the OS at hand. Gaming is not usually something manufacturers bet on when designing an affordable tablet but it is a point that Onda decided to stress with its placement of a PowerVR SGX 44 quad core graphics chip running at a base frequency of 700 MHz. We're not saying this is the best gaming tablet in the market but it can handle the games in the play store without much trouble and as a bonus you get to play them on a 9.6 inch display. Perhaps the most important pro of the Onda V96 is the fact that it's available for $104, a price point where not many tablets can compete against it. Sure, you can probably find some better options in this price point but you'd also have to give up on screen size, generally leaving you with a 7 or 8 inch tablet and for some people that's just not in the cards. In closing, after reviewing the pros and cons of the V96 Remix OS tablet we gotta say that as a starter tablet it's a pretty solid option. We especially appreciate the screen size, graphics chip and price point. No, you're not gonna become an award winning photographer with its set of cameras but nobody actually expects a big sized tablet to have a good set of cameras since even when they're supposedly "good" they still aren't an element you'll see people bragging about. All in all, if you're looking for an almost 10 inch tablet and you don't wanna go towards the $200 this is a pretty safe bet.